Gordon Cooper signed 10'' x 8'' photo from Mercury-Atlas 9, the last mission of the Mercury program, and the last time NASA conducted a solo orbital mission. 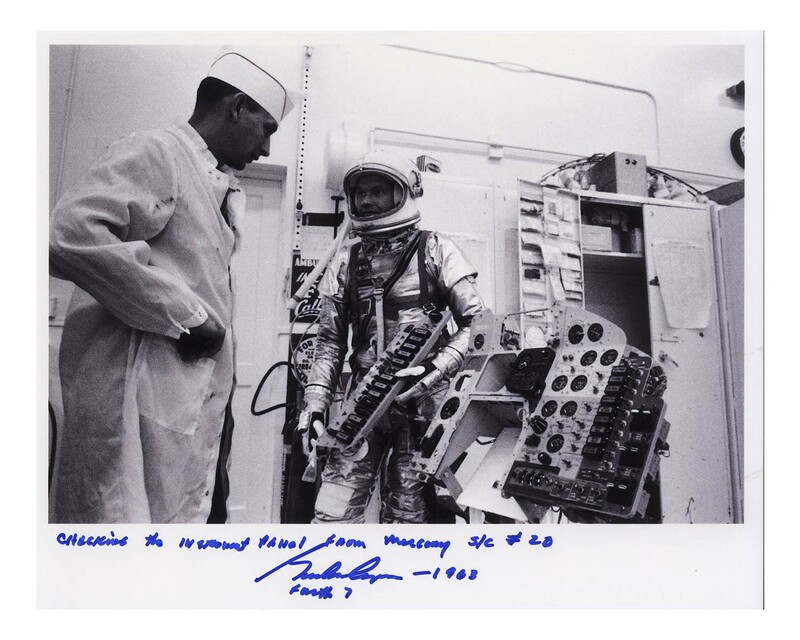 Cooper inscribes in blue felt-tip, ''Checking the Instrument Panel from Mercury S/C [Spacecraft] #20 / Gordon Cooper - 1963 / Faith 7''. Silk-finish photo is near fine.